The Community Liaison is someone from a member institution who has been chosen to represent their organization for the purpose of important communications. For example, when an institution is asked to vote in a project governance election, the Community Liaison will be the designated individual who will cast the vote, based on a consultation with local project stakeholders. The Community Liaison is someone we expect to have an awareness of the status of the project so that they can help their institution make informed decisions. Anyone may be nominated as a Committer by anyone else. Typically, nominations are made by existing Committers on the basis of sustained contribution to DSpace that indicates an ability to fulfill Committer responsibilities. Examples of such contribution are participation in discussions on the DSpace mailing lists, IRCetc, participation in developer meetings, reporting bugs, help with testing, and contribution of code via pull requests. Only existing Committers may vote to add a nominated person to the Committers group. Our list of Working Groups and Interest Groups is always changing, based on the current strategic goals of the project. DuraSpace members are granted governance rights commensurate with their financial allocation to the project. 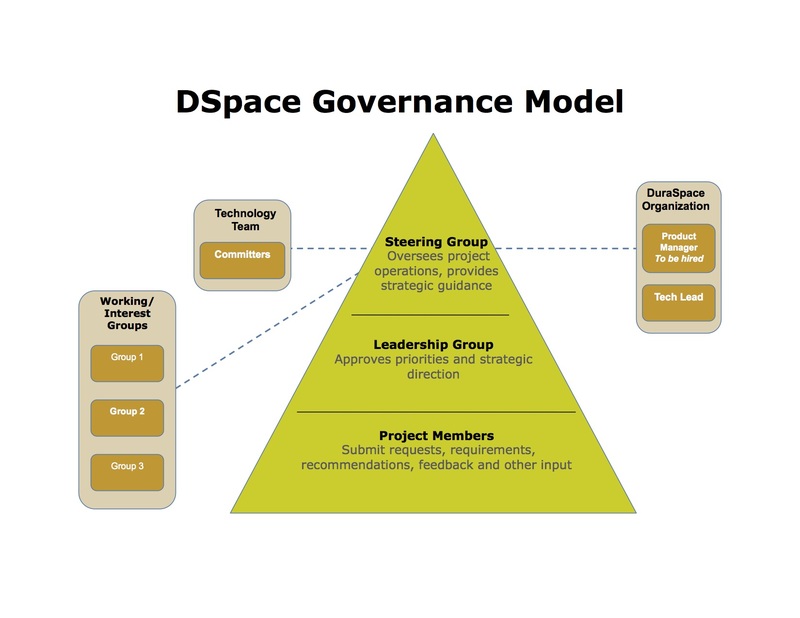 The following table shows the governance-related benefits for DSpace contributors. * NOTE: All members may nominate and elect one at-large DuraSpace Board Director. To view other DuraSpace membership benefits, please visit https://duraspace.org/about_membership.